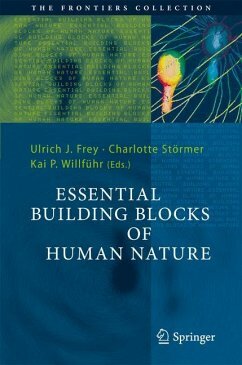 To understand why we humans are as we are, it is necessary to look at the essential building blocks thatcomprise our nature. The foundations of this structureareour evolutionary origins as primates and our social roots. Upon these rest features such as ouremotions, language and aesthetic preferences, with ourself-perceptions, self-deceptions and thirst for knowledge right at the top. The unifying force holding these blocks together is evolutionary theory. Evolution provides a deeper understanding ofhuman nature and, in particular,of thecommon roots of these different perspectives. To build a reliable and coherent model of man, leading authors from fields as diverse as primatology, anthropology, neurobiology and philosophy have joined forces to present essays each describing their own expert perspective. Together they provide a convincing and complete picture of our own humannature. 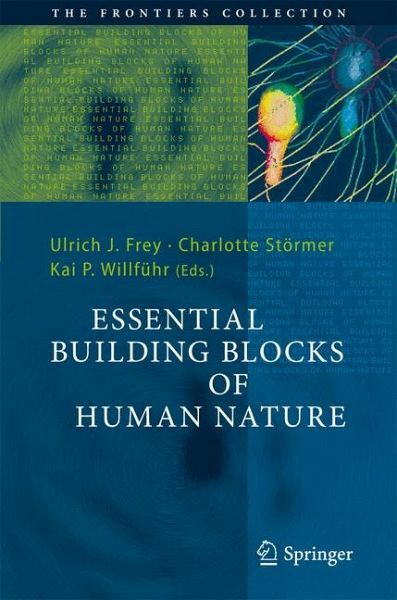 Ulrich Frey (philosophy), Charlotte Störmer and Kai Willführ (biology) work in an interdisciplinary research group at the University of Giessen, applying evolutionary theory to a broad range of fields. The following authors contributed to the chapters of this book: Karl Grammer, Benjamin Grant Purzycki, Peter Kappeler, Niklas Krebs, Ruth Mace, Elisabeth Oberzaucher, Frank Rösler, Michael Schmidt-Salomon, Mary K. Shenk, Richard Sosis and Matthias Uhl. Our Origins: How and Why We Do and Do Not Differ from Primates; Peter Kappeler.- Our Children: Parental Decisions - How Much to Invest in Your Offspring; Mary K. Shenk.- Our Social Roots: How Local Ecology Shapes our Social Structures; Ruth Mace.- Our Selections and Decisions: Inherent Features of the Nervous System? ; Frank Rösler.- Our Gods: Variation in Supernatural Minds; Benjamin G. Purzycki and Richard Sosis.- Our Preferences: Why We Like What We Like; Karl Grammer and Elisabeth Oberzaucher.- Our Appetite for Information: Invented Environment, Non-Transparent Mind, and Evolved Preferences; Matthias Uhl.- Our Best Shot at Truth: Why Humans Evolved Mathematical Abilities; Niklas Krebs.- Our Way to Understand the World: Darwin's Controversial Inheritance; Michael Schmidt-Salomon.- Index.